Southern Season just opened its third location- Richmond, VA! Described as a "food lover's paradise," this store also has it's own cooking school and restaurant, Southerly. Today I will focus on just the restaurant. I just had the pleasure of dining on the open-air patio at Southerly with two girlfriends this past weekend for brunch. It was a perfect morning for brunch on the patio in the mid-September air. I literally wanted to order one of everything from the menu! I think my 10.5 mile run that morning had a little something to do with my huge appetite! After much debate, I decided to order a the Buttermilk Pancakes, with blueberries and bacon, with a glass of orange juice. Our server, Ana, was very friendly, knowledgable and patient with our indecisive minds (and to think I look at every restaurant's menu before going to avoid this dilemma…) The pancakes and bacon came out fresh off of the griddle and were perfectly cooked. Exactly what I was hoping they would be! 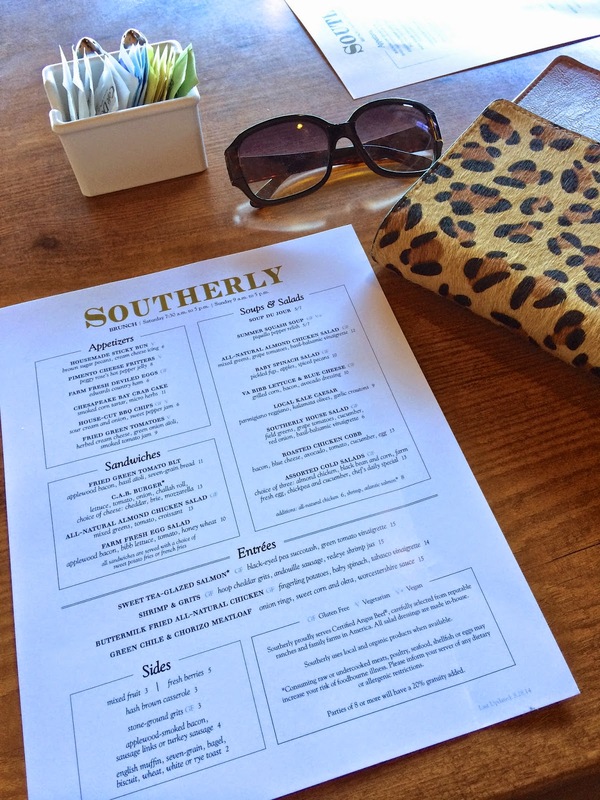 Both of my friends ordered the Southerly Eye Opener, which comes with two eggs cooked to order, choice of bacon or sausage, and a buttermilk biscuit. Emily and Whitney had nothing but good things to say as well. Since I was only there for one meal, I will definitely be returning, so I can try more menu items. My mom and I have plans next week to take our time and browse the aisles of Southern Season, so stay turned for a post with more pictures from inside of the store.